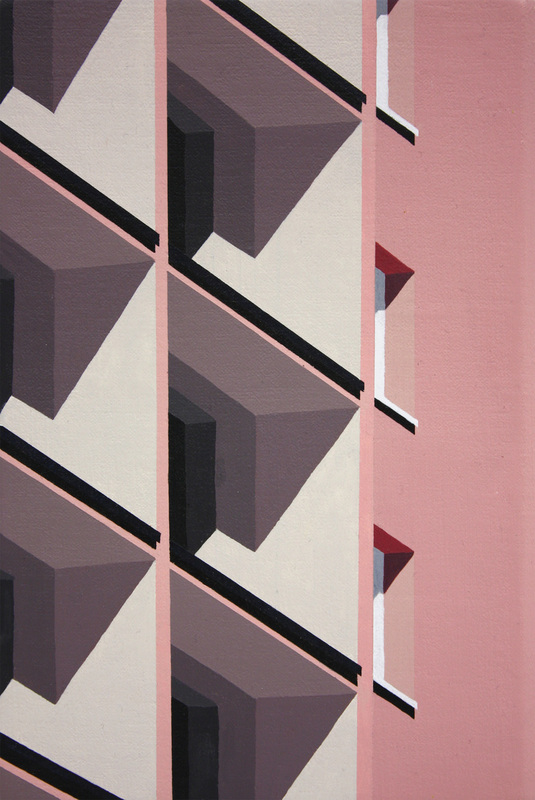 Roos van Dijk | Beautiful structures - AnotherDesignBlog. "A fascination with modern architecture and the rush of modern life are themes that are strongly present in the work of Van Dijk. The aesthetics of the human-made environment is cast in paint, and forms and places from our daily life are moulded in a new way of seeing. Through the action of capturing large architectural structures and their beauty first in photographs, Van Dijk frames her source in a way that is surprising. As a following step, the artist translates the photographs into paintings where the departing point is left aside and the layered, refined painting takes over. What moves this process is the artist's will to give shape to her personal encounters with such overwhelming spaces and hidden places, in a way that becomes an accessible and open experience for the viewers as well."